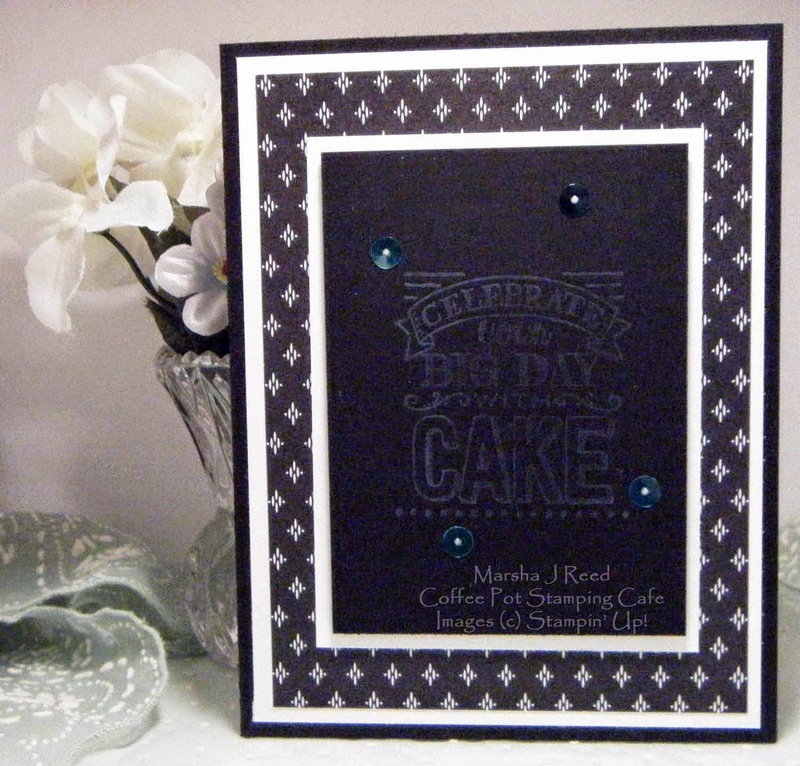 This is the first time I've used the Aquamarine ColorBox Chalk Ink that is in the 2015 Occasions Catalog. I was afraid it wasn't going to show up for you in the photo but it did better than I thought. I needed another masculine birthday card and I do so love black and white. With just a touch of Bermuda Bay, I think it turned other rather well. I love the crisp clean lines of the card. The sketch I used is from the current Retro Sketches Challenge.